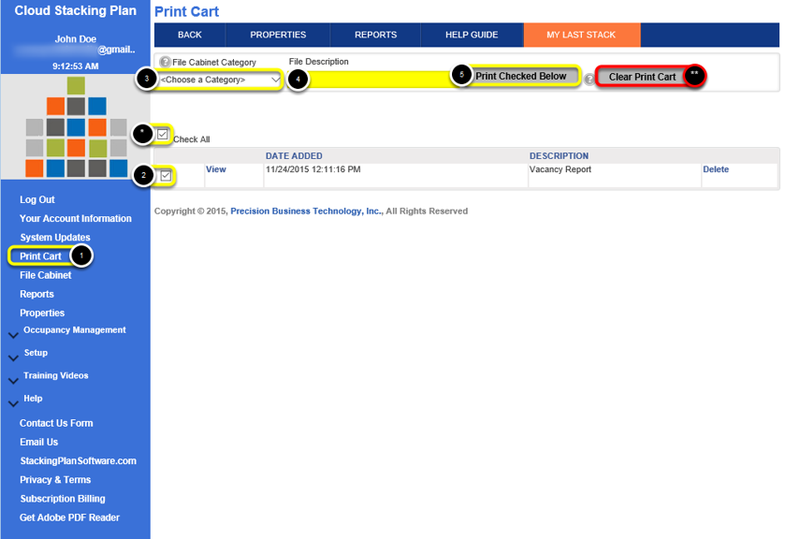 The print cart is a module that will enable you to better manage the printing of documents generated in this system. As you create stacking plans and generate reports, you will want to print those items. You can either send those items directly to your printer, or you can send them to your print cart, which is like a print queue. From within your print cart, you can print items individually or you can print them together where they will be compiled into a singular PDF document that you can either send to your printer, save on your computer or even assign to your file cabinet for historical reference. When saving a copy to your File Cabinet, Enter a File Description for this PDF Print File.